The Booysen tunnel farming project is situated on the Kraaifontein Avon-De-Rust farm owned by a retired farmer. This project initially started in 2013 and is leasing one hectare of land to a 27 year old vibrant farmer, Byron Booysen and his mother and sister. Booysen developed an interest in farming at an early age while he was growing up in the Eastern Cape. When his family moved to the Western Cape, Booysen studied Sports Science. 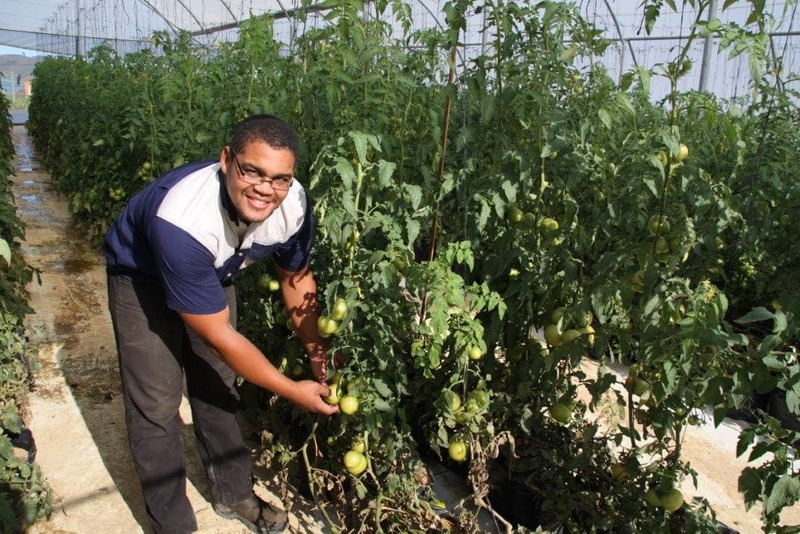 After completing his studies, Booysen approached the Western Cape Department of Agriculture (WCDoA) for financial assistance to make his farming dream come true. “It was heartwarming to hear good news when our funding was approved”, said Booysen. According to Booysen, Casidra started with the implementation of the erecting of four multi-span tunnels of 1000 plants. “This was when the real work started and I reflect back on when I started with this idea at the age of 23 years. It was not always easy and a lot of sacrifice has been made”, said Booysen. The first plantation took place on 16 December last year and harvesting in February 2016 for the first time. The produce came to 40 tons of tomatoes with 5 kg per plant. Crops harvested are supplied to the local markets around the Pick ‘n Pay stores and all the excess to the Cape Town local market. The project does its own packaging and is supported by Casidra and the WCDoA. The project has created six jobs in total. Booysen is the operational manager, while his mother does the general operations and is responsible for packing, his sister does the bookkeeping and three workers are responsible for general work. Booysen is extremely grateful for the opportunity and said, “I would like to thank the WCDoA and Casidra for supporting us with the funds to procure everything we need like implements, production inputs, training, etc. Our sincere appreciation goes to the WCDoA’s official, Soyisile Ntombela, and Cynthia Lebenya from Casidra as well as our mentors for always being there when we need them”.